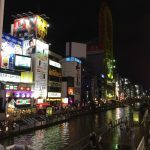 Much like Times Square in New York, Dotonbori is a colorful and always busy entertainment area mostly famous for it’s billboards and advertisements. 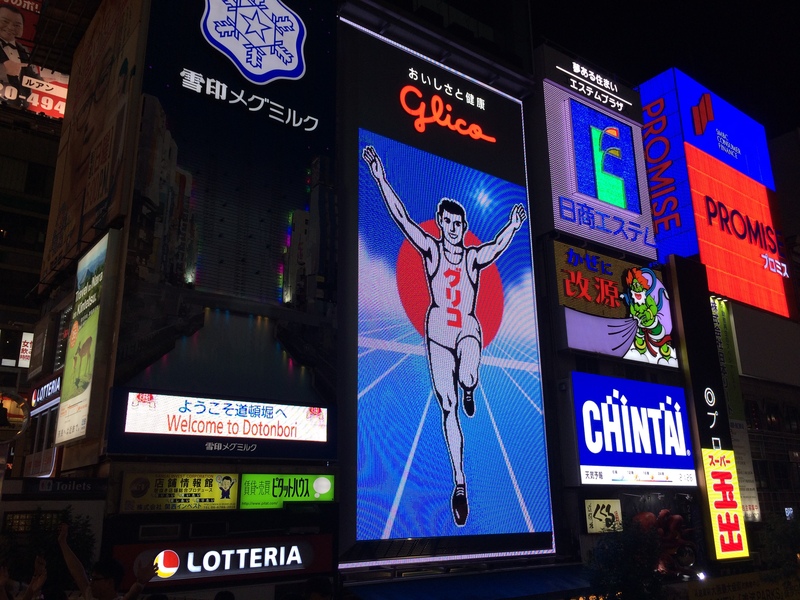 Especially one advertisement, the “Glico Man“, is world famous. 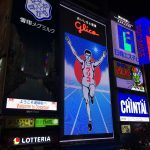 The Glico neon sign, which shows a running man crossing the finish line, has been heavily used for travel guide covers, tv stock footage and travel magazines over the years – so much, that it has become the symbol of Osaka. While the sign has historically been a traditional neon sign, it is today just a LED screen. Dotonbori is more than the Glico man though. 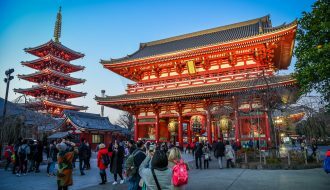 It is a bustling dining area where you can feast on everything from cheap street food, traditional Osaka dishes and high-end sushi. As you walk down the street you should look out for the many oversized figures which hang above some restaurants. 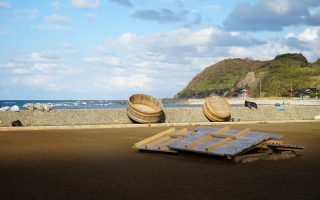 Amongst the popular ones are a 6.5m (21ft) tall crab, a huge blow fish lantern and gigantic plate of gyoza dumplings. 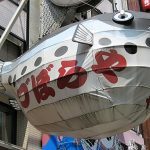 If you are interested in the history of Dotonbori, then keep reading after the “attractions” section. The "Glico Man" is a billboard advertisement for the candy company Glico. The sign, which has been around since 1935, shows a running man crossing a finish line. 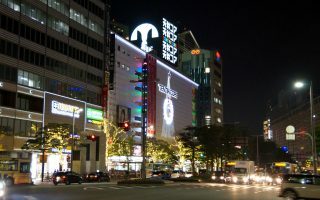 It was originally a Neon sign, but the modern version which can be seen today is a LED screen. 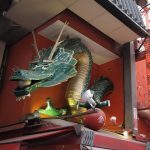 The sign has become a symbol of Osaka, and is featured in pretty any article or video about the city. 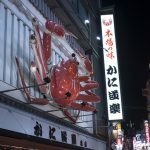 Kani Doraku is a famous Japanese crab and seafood restaurant. They are known for their 6.5m large, moving crab figure which hangs over the entrance. Photo credit: Matt Lucht. Licensed under CC. Over the entrance to Osaka Osho in Dotonbori hangs a gigantic figure of a plate of Gyoza dumplings. Osaka Osho is a chain of Gyoza restaurants. 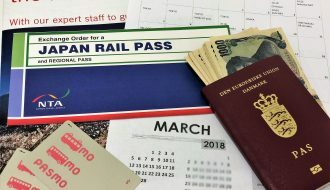 The chain originates in Osaka, but has international shops as well. The restaurant in Dotonbori is huge and seats 180 persons. 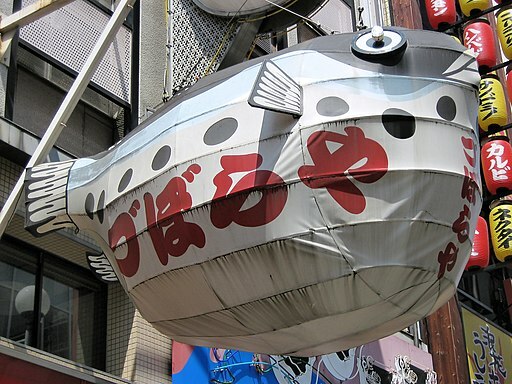 Zuboraya is a famous Osaka restaurant which specializes in serving Fugu (blowfish). Fugu is lethally poisonous if not prepared correctly, but is nevertheless eaten as a delicacy. Due to the risk of poising, a Japanese chef must undergo 3 years of training before he is allowed to prepare the fish. Photo credit: yeowatzup. Licensed under CC. Kinryu Ramen is a chain of ramen restaurants. 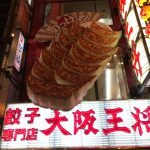 On Dotonbori street alone there are three restaurants. One at each end and one in the middle. The chain is famous for the large dragon figure displayed in front of the shops. Photo credit: Nakashi. Licensed under CC. The perfect place to view all the billboards and lights which face the river. The lights beautifully reflect in the water, making a spectacular setting. A small beautiful temple near Dotonbori. 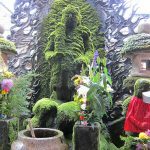 It's famous for it's moss covered Buddha statue. 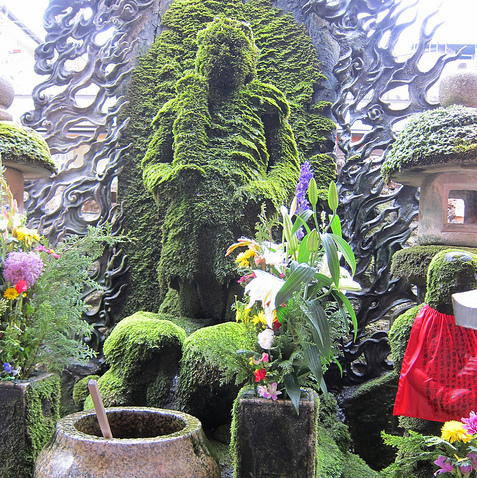 When praying here, make sure to splash some water on the statue to keep the moss growing. 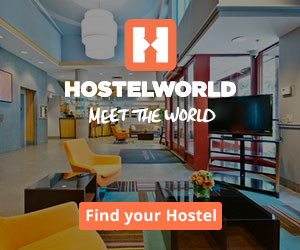 Photo credit: hslo. Licensed under CC. Dotonbori is the name of the street on the southern side of the river which (confusingly) is also called Dotonbori. 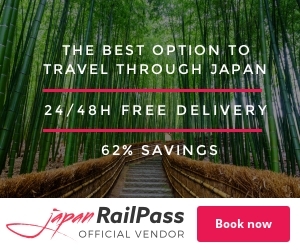 In the late 1500’s a local merchant, Yasui Doton, was given a piece of land near Osaka castle. He was rewarded with this land after having served the prominent warlord Toyotomi Hideyoshi. 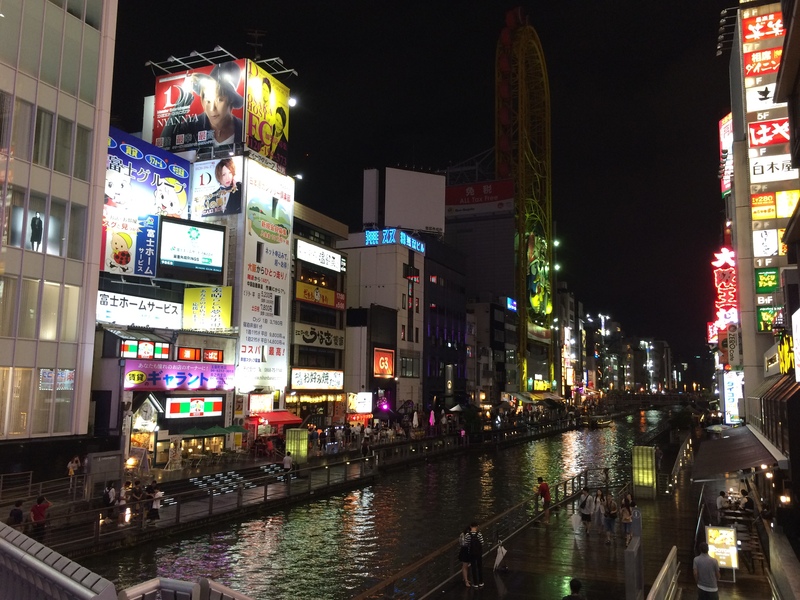 The history of Dotonbori river, which is technically a canal, starts some years later in 1612 when Doton decided to transform a small river into a proper canal. 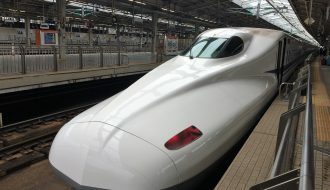 He did so with the hopes that it would benefit local trading as it would bind together two banks of the Yokobori river. Sadly he didn’t live to see the canal finished as he died in war while serving Toyotomi Hideyori (son of Hideyoshi) in the siege of Osaka in 1615. Doton’s cousins finished the project after his death, and despite Doton fighting for Toyotomi on the defeated side of the battle, the river and road south of it was named in his honor by the new ruler of Osaka castle. 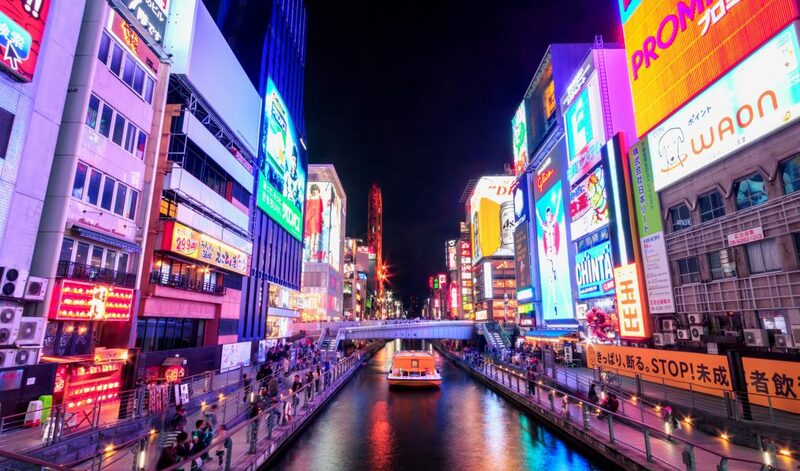 The name Dotonbori is made up of two parts “Doton” obvisously being the name of the canals creator, and “bori” which is derived from “hori” and means “canal”. The Siege of Osaka was an attack on Osaka, taking place in two parts over a longer period between 1614 and 1615. Toyotomi Hideyoshi, who is considered the second uniter of Japan, died in 1598, leaving behind his 5 year old son Toyotomi Hideyori. Naturally too young to rule, a council of 5 elders was established to rule the united Japan until Hideyori had matured. Amongst those 5 were Tokugawa Ieyasu. A fight for power started in the group, eventually resulting in Tokugawa taking power and establishing the Tokugawa Shogunate in Edo in 1603. The other elders being out of the picture, only Toyotomi in Osaka was in the way for Tokugawa. Tokugawa was afraid of Toyotomi rebelling against his shogunate, and so a campaign to siege Osaka was kicked off in 1614. The first attempt didn’t really succeed, but Toyotomi had to pledge not to rebel against the shogunate. Few months later, now in 1615, rumors were indicating that Toyotomi was planning to rebel again. This resulted in Tokugawa (this time his son) attacking again and successfully defeating the rebellion. Toyotomi committed suicide when he realized it was over. This was the start of a unified Japan under the Tokugawa Shogunate and 250 years of peace. After the Tokugawa shogunate successfully sieged Osaka and brought peace to Japan, it started working with urban planning. 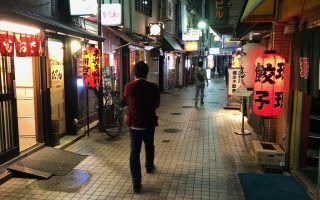 In that connection the area around Dotonbori was designated as Osaka’s entertainment district – a designation which still defines the area today, several centuries later. By train: the nearest station to the east entrance is Nippombashi. The Kintetsu-Nara Line, Sakaisuji Line and Sen-Nichimae Line all stop here. From Nippombashi it’s a 3 minute walk to the east entrance. Cover photo credit: Reginald Pentinio, flickr.com. Licensed under CC.